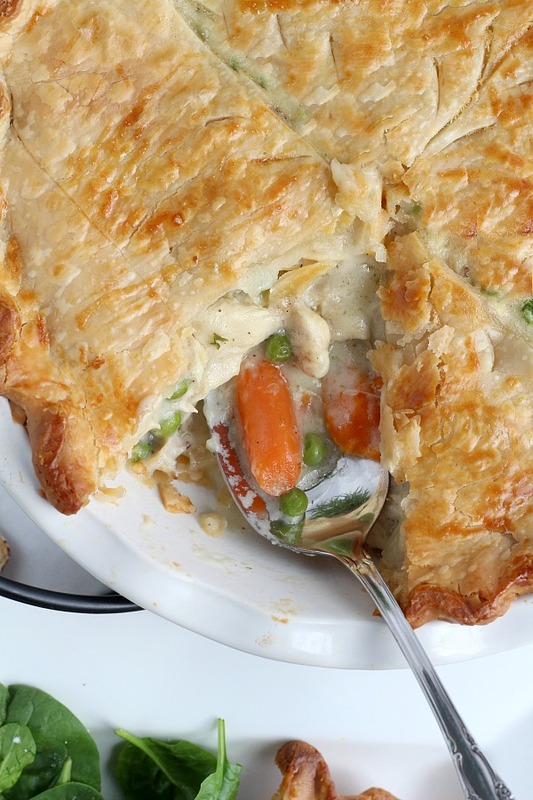 Chicken Pot pie is an all-time favorite comfort food and for good reason. 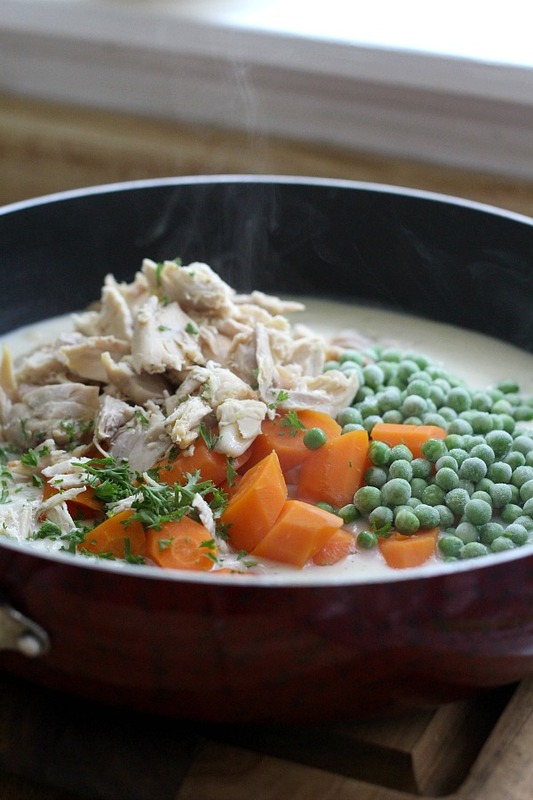 Chunks of tender chicken, carrots and peas in a creamy gravy with a flaky, golden pie crust. 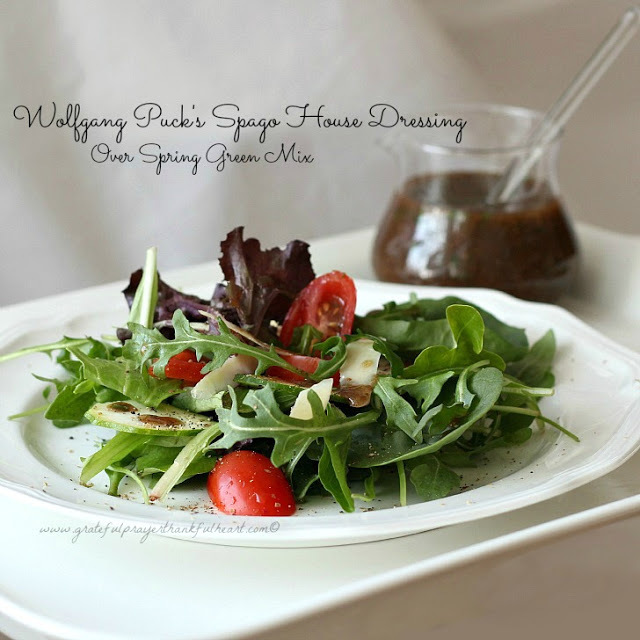 What a great meal for Sunday dinner or a family weeknight meal. 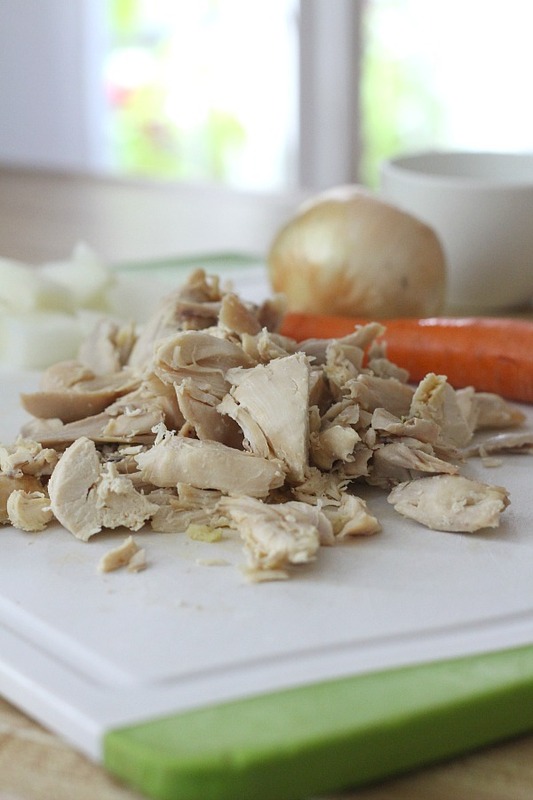 Make it easy and cut prep time by using rotisserie chicken and frozen vegetables. Homemade crusts are great but purchased crusts are quicker, easier and taste pretty amazing. I like to keep the carrots and onions rather large for a chunky, rustic dish. Large chop onions are ready to go. After roasting a chicken, I usually toss the carcass into a large pot with veggies and let it simmer away while I clean up. After straining, I pour the stock into Mason jars leaving headspace, cap and store in the freezer. 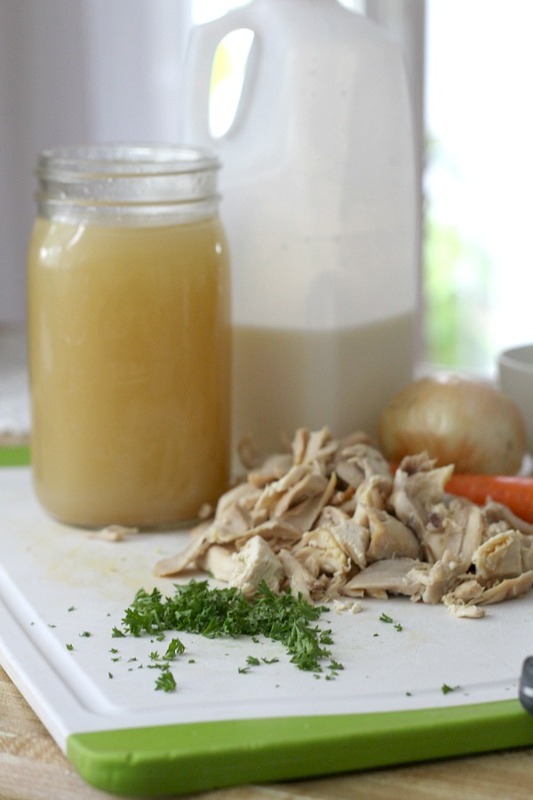 If you don’t have homemade chicken stock, purchased will work just fine in this recipe. 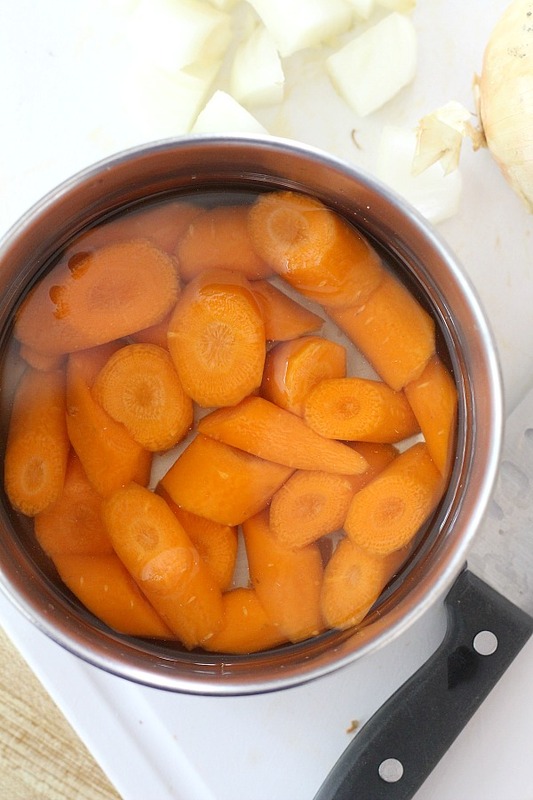 Precook the carrots in water until tender. 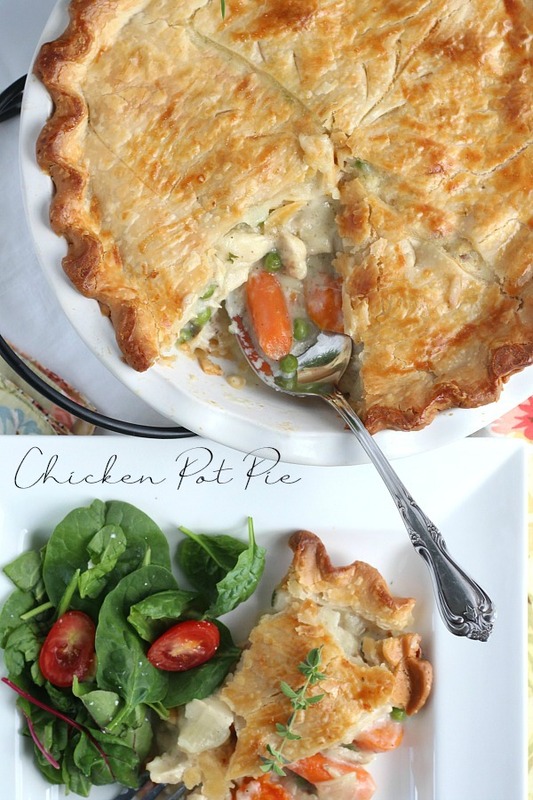 Chicken pot pie is a great way to use leftovers. I usually plan for leftovers when roasting a chicken just so I can make it do double duty. If you don’t have leftover chicken and delicious alternative is to pick up a rotisserie chicken from the grocery store. They are always tender and pretty inexpensive. 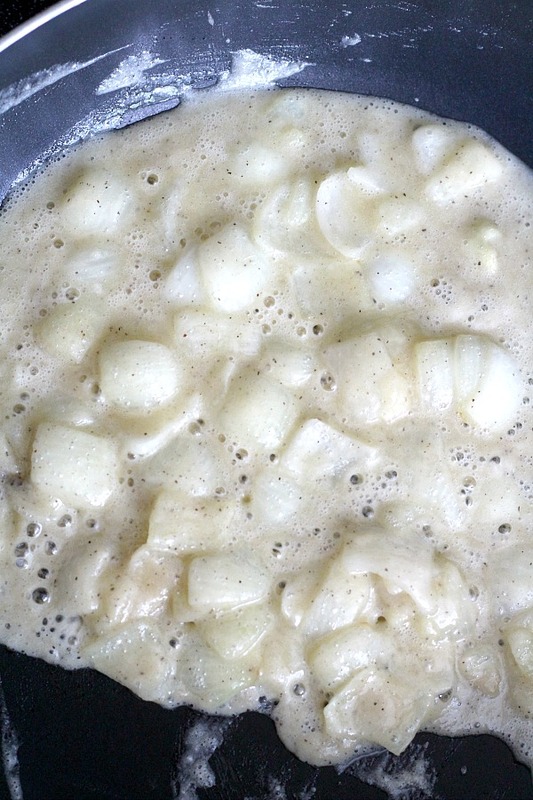 In saucepan or large skillet, melt butter over low heat. 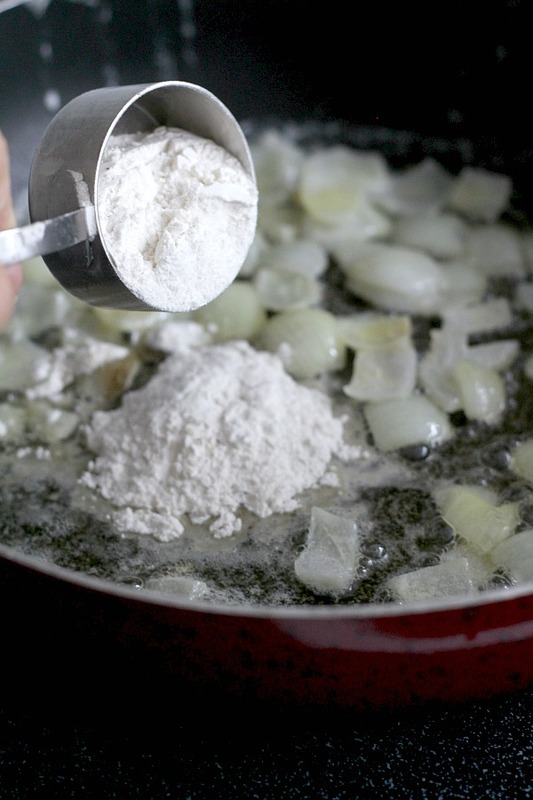 Add the onions and cook just until transparent. Cook stirring until mixture is bubbly. 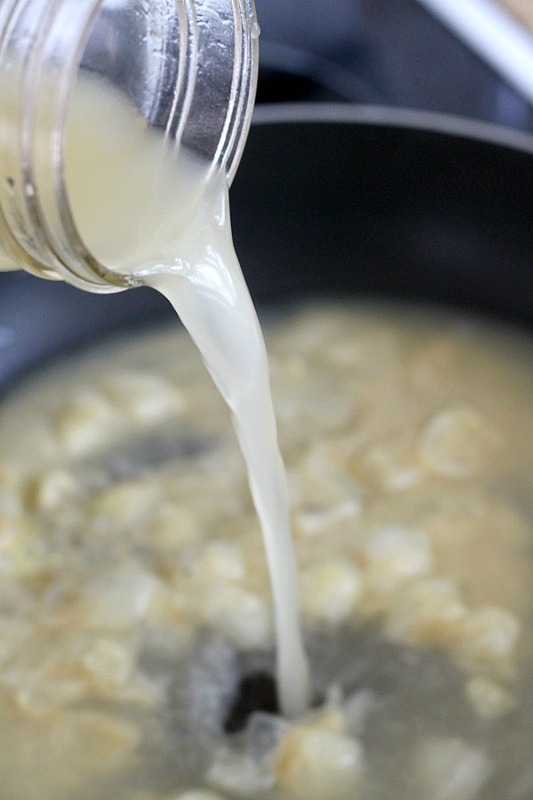 Remove pan from heat; stir in broth and milk. Gently stir in chicken and vegetables. Set aside. 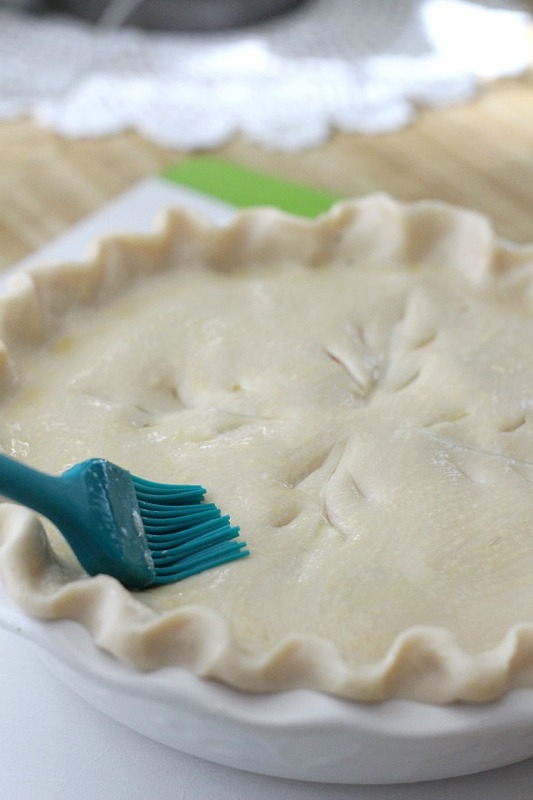 Prepare pastry and fit bottom crust into deep-dish pie pan. 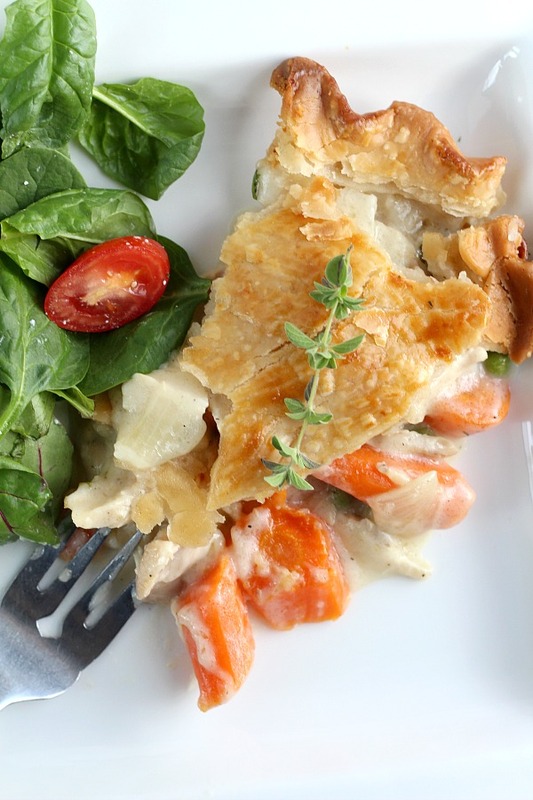 Fill crust with the chicken and vegetable mixture. Top with remaining crust and crimp edges to seal. Cut slits in the top of the crust. Brush with egg wash.
Bake in preheated oven 30-35 minutes. To prevent over browning, I use a pie shield. I also use a pie drip catcher to protect the oven bottom from burnt-on messes. Cool for ten minutes, cut into slices and serve. 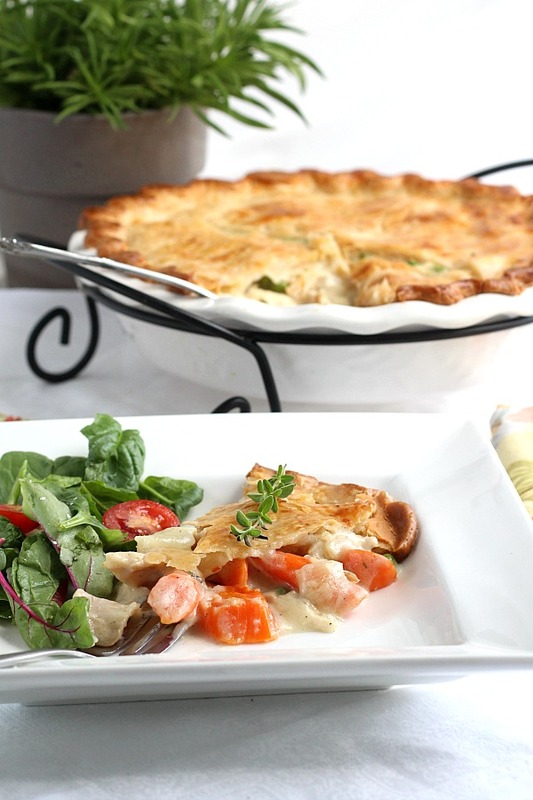 Chicken pot pie is pretty perfect just the way it is or you might add a green salad on the side. 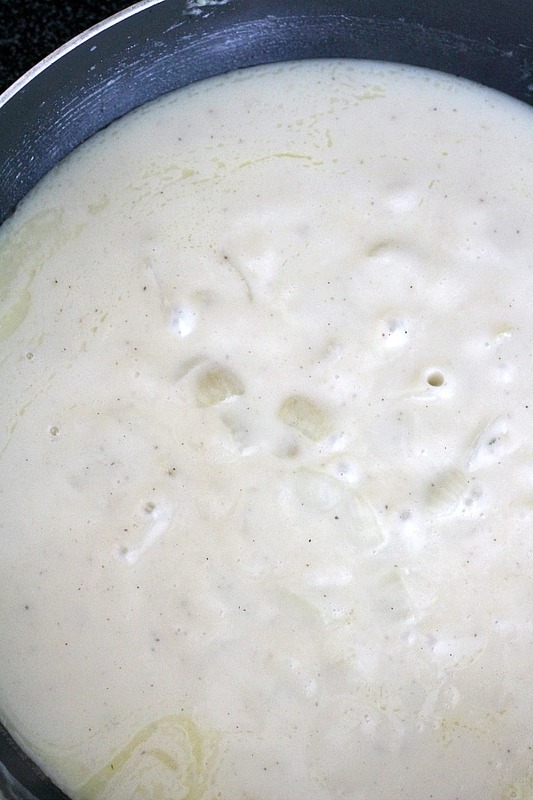 In saucepan melt butter over low heat. 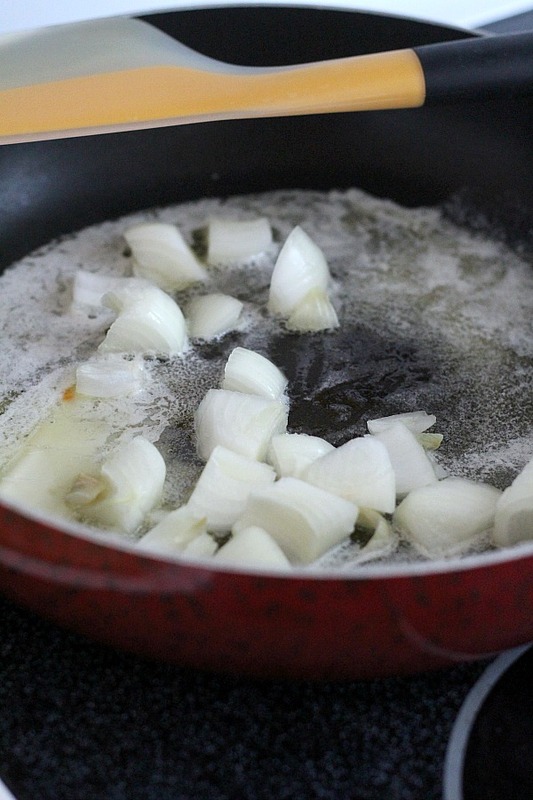 Add the onions and cook just until transparent. Blend in flour, salt and pepper. Cook stirring until mixture is bubbly. Remove from heat; stir in broth and milk. Heat to boiling, stirring constantly. Boil and stir 1 minute. 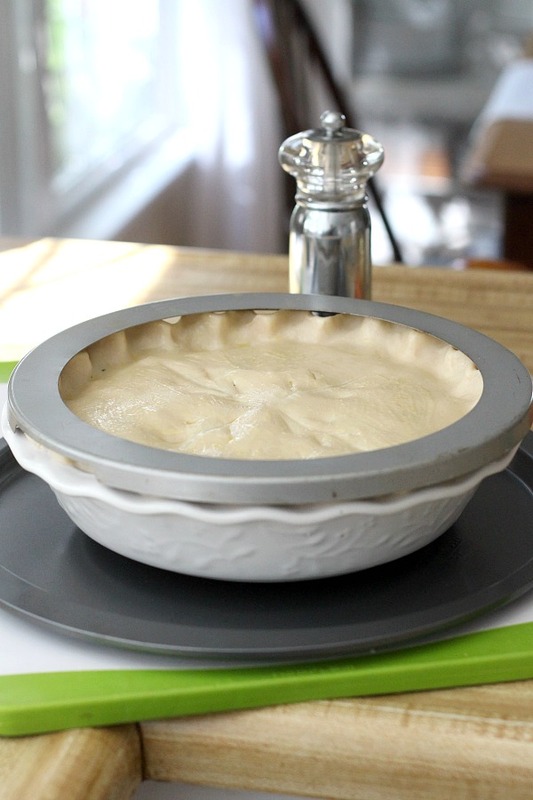 Prepare pastry and fit bottom crust into deep-dish pie pan. 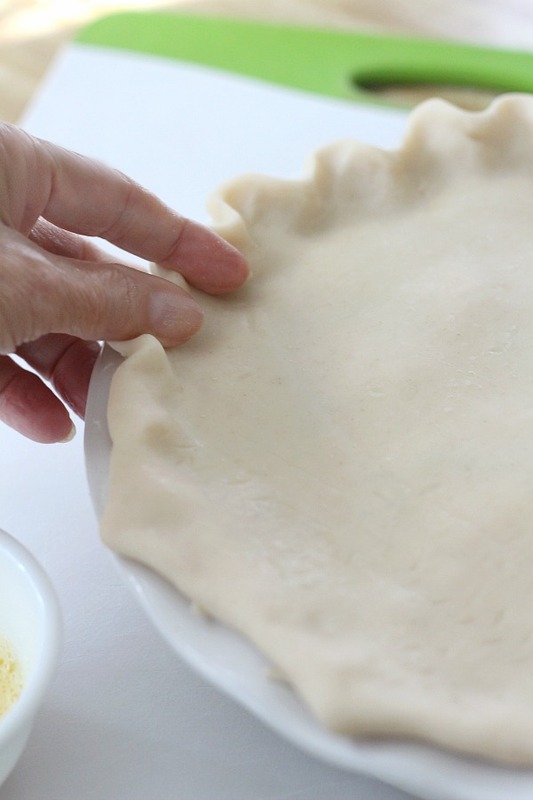 Fill crust and top with remaining crust. Cut slits in the top of the crust. and bake 30-35 minutes. Cool for ten minutes, cut into slices and serve. 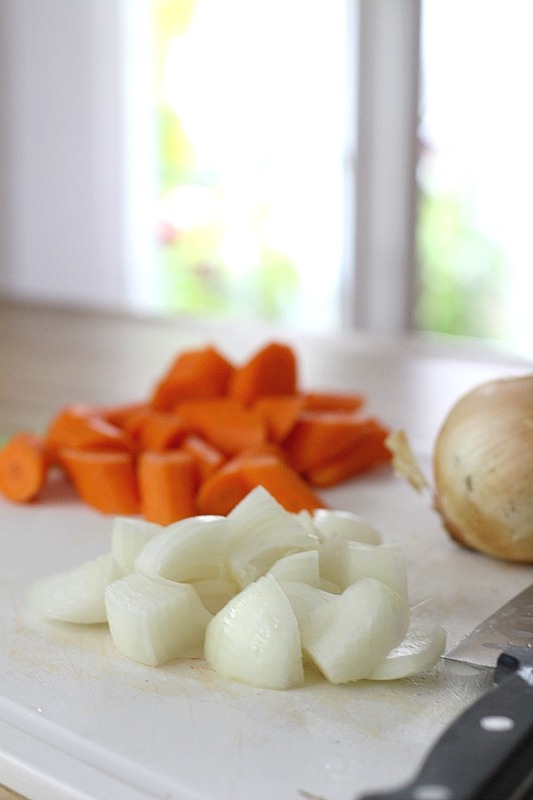 Substitute a 10 oz bag frozen peas and carrots for the fresh carrots and skip the 1/2 frozen peas. Use grocery store rotisserie chicken if you don’t have leftover chicken or don’t want to cook fresh chicken. 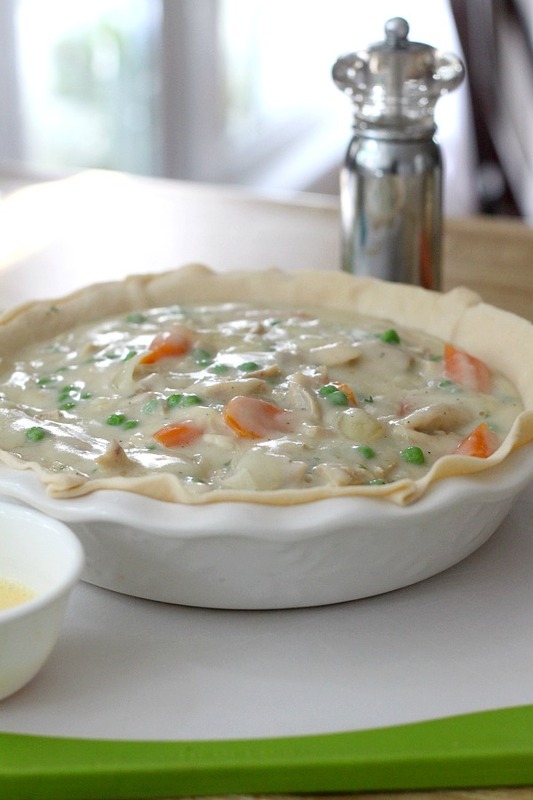 I have had chicken pot pie on my mind lately because i reminds me of fall…even though our weather is not very fall-like. This is really making my mouth water! 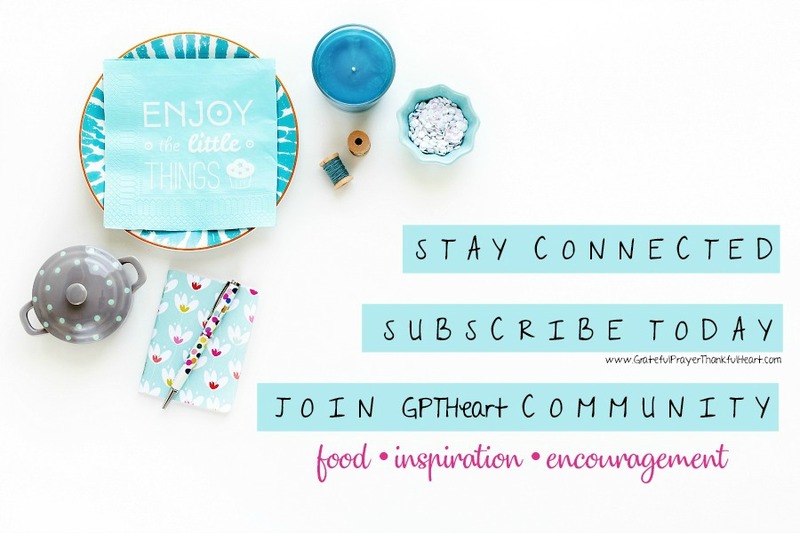 Thanks for the recipe and also for that lovely fall printable! 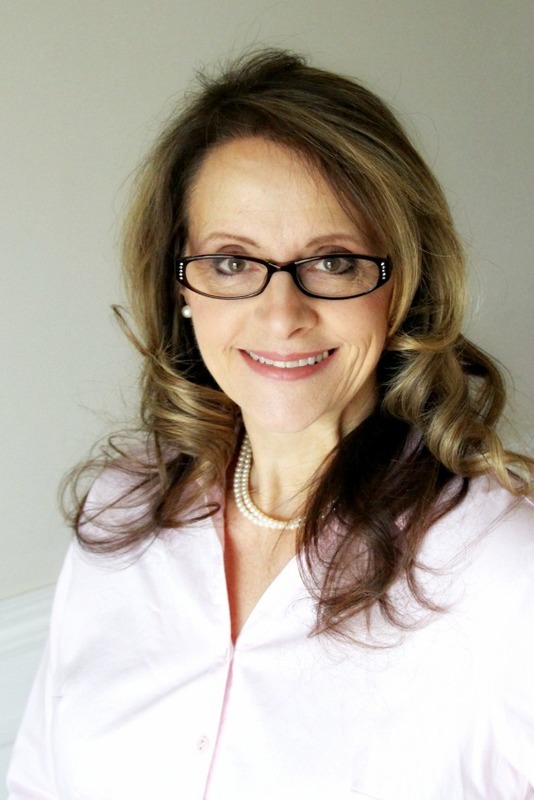 I hope you are enjoying your weekend, Lorraine!